Twenty-two years ago, in July of 1995, Atlantech Online began offering internet services with the mission of providing high quality ISP service to businesses with an unwavering commitment to customer service. 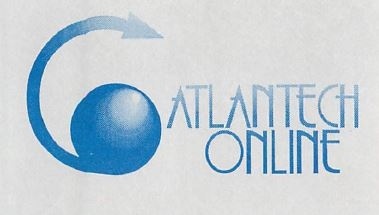 Twenty-two years later, Atlantech Online is still going strong-Still providing unwavering commitment to customer service-Still offering high quality ISP and data center services-Now expanded to include telephone service to business and government. At that time, in July of 1995, early Internet users had many choices for an Internet Service Provider (ISP): America Online, PSINet, UUNET, Netcom, Erols, etc. While most of these early giants of the ISP industry are long gone, with the exception of America Online, which has morphed into AOL (more a media company than an ISP), Atlantech Online continues to grow strong thanks to our loyal customers who tell others about our great services and consistent reliability. So, please join us in celebrating a happy birthday for Atlantech Online, one of the longest serving ISPs operating in the DC Metro region. Originally, Atlantech Online was located in Laurel, Maryland. The location was strategic as it bridged the Baltimore and DC LATAs so that it was easier to deliver service in either region. Services offered at the time were dialup Internet access, dedicated dialup, ISDN and T-1 circuits. In the early years of Internet adoption, the 1.5 Mbps of throughput available via T-1 was the dream of most users and the pricing for a T-1 averaged over $1000/month! Because delivering Internet connectivity required racks for modems and phone line aggregation equipment, it made sense to offer server co-location to customers, too. That is how Atlantech Online got into the data center business. Over the years, Internet technology has changed at a pace unmatched by any other industry. ISPs that couldn’t make the jump to DSL, to delivering phone service or to lighting fiber in office buildings, went out of business or were absorbed by competitors. Atlantech Online did more than manage to navigate these rapid changes, we continue to grow and thrive offering new technology with the same dedication to superior customer service we had on our first day we opened for business. The latest technological change is Unified Communications as a Service (UCaaS). UCaaS enables the service provider to not only deliver phone service via a Hosted PBX, saving customers the capital expense of a premise-based system, but also integrate collaboration, desktop/laptop/mobile device integration with the PBX, call center and conferencing capabilities all from a single screen. Atlantech Online offers a solution for UCaaS, too. To see how this new service may be a solution for your business, please give us a call today and we’ll setup a demo… but don’t expect a piece of birthday cake. We’ve been too busy servicing our customers to take time out to sit around and celebrate. We’ve got work to do! Let us show you why Atlantech Online is one of the longest servicing ISPs around.